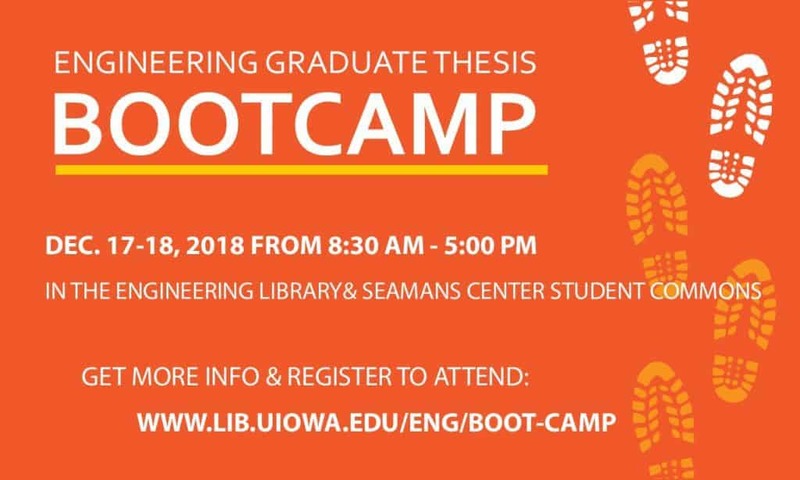 Free 2-Day Graduate Thesis Workshop! and the Hanson Center for Technical Communication! Open to current engineering and computer science graduate students, Thesis Boot Camp is the perfect opportunity to set aside time dedicated to making progress on your dissertation or master’s thesis! Along with a comfortable, quiet working environment, writing and research support, breakfast, snacks and lunches, the workshop offers students community and motivation in that final push towards the completion of their dissertation or thesis. Several optional workshops are also scheduled. They include help with editing, formatting, and creating citations among others! Throughout the entire 2 days 1-on-1 support is provided by writing facilitators, liaison librarians, and members from the graduate college to provide assistance when you need it. 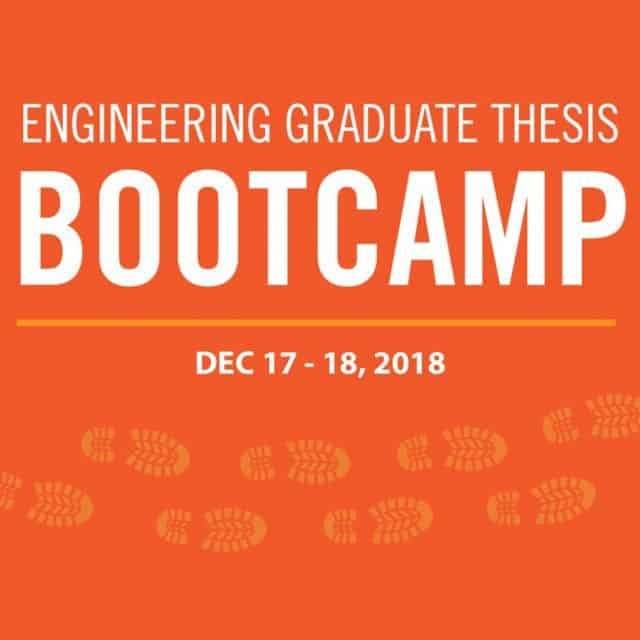 Boot Camp targets current engineering and computer science graduate students at both the PhD and Masters level, who are currently writing their thesis / dissertation. Participants will benefit from the structured time, space, professional advising and peer support of the program. What else do you need to know? Both days begin at 8:30 a.m. and end at 5:00 p.m. – please plan to stay for the entire 2 days. It’s FREE, but is limited to 30 participants. Registration deadline is Friday, December 7th, at 11:59 p.m. It will be held in the Student Commons and in the Lichtenberger Library. Breakfasts, lunches, and snacks are included! And coffee! Lots of coffee! More information and a draft of the schedule go here. The registration form is available here. Mark your calendars and register today!! Individuals with disabilities are encouraged to attend all University of Iowa-sponsored events. If you are a person with a disability who requires a reasonable accommodation in order to participate in this program, please contact (Kari Kozak, Head, Lichtenberger Engineering Library) in advance at (319-335-6046). New Learn & Create Workshops!!! Exciting New Create & Learn Workshops!! We are happy to collaborate with the Engineering Technology Center, NEXUS and the Department of Music to present some exciting workshops! Workshops are free (but there may be an optional materials fee) and are on Wednesdays from 1 to 2 p.m. Register online at lib.uiowa.edu/eng. August 29th: Standards & Patents: Presented by Kari Kozak, Lichtenberger Engineering Library. Do you have a product you want to create? Learn how to search for patents and standards from around the world. Learn about the various resources that can be accessed both on and off campus. The Tool Library includes LabQuest Devices and a wide range of sensors. These devices and attachments allow for the collection and analyzation of data for a nearly endless number of possibilities. This course will provide overview of what the library has and instruction on how to use it! Have you ever struggled with literature reviews? Try some strategies from systematic reviews that may give you some insight into your research topic through a more rigorous and structure approach. Systematic reviews are defined as “a research method that aims to locate and summarize all available evidence for a research question in order to guide decisions and practices” in medical and health sciences. Although systematic reviews originate from medical and health sciences, they are increasingly adopted by education, social sciences and, even, engineering. This workshop will introduce different review types (systematic reviews, scoping/mapping reviews and literature reviews), systematic review process, research question frameworks and search strategy, as well as point you to some available resources and services. Through the following 5 course series, learn all the steps to make your own mini piano using a circuit board and Arduino. This light weight keyboard allows you to play an octave worth of notes using capacitive touch, no strings or hammers required! Learn to create the keyboard circuit board with Multisim and Ultiboard. Part 1 is creating a circuit board from beginning to end. Part 2 goes into detail about special problems and challenges for circuit boards. Want to learn quick and easy ways to spice up your Halloween costumes? Learn to incorporate nano pixels, lights and sound into your Halloween costumes. 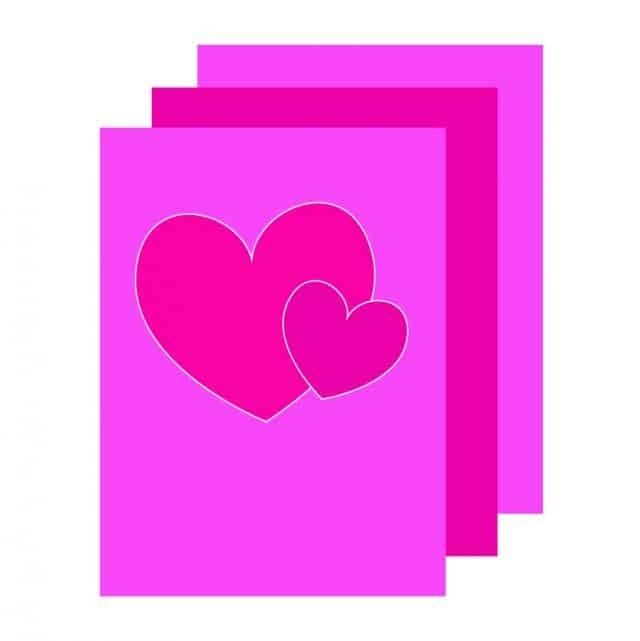 Want to impress your friends and family with fun and unique greeting cards? Learn about paper folding to create a pop-up cards with lights and sounds. Sign up today for these workshops – space is limited and you won’t want to be left out!! The purpose of this workshop is to explain research data management and its importance, help identify some common data management issues, and learn about best practices and resources that are available. This workshop is open to all UI students, faculty, and staff. Registration is requested. To register, please click on one of the dates above. If you have any questions, or if you’d like to request a session for your group, please contact Sara Scheib or Marina Zhang.